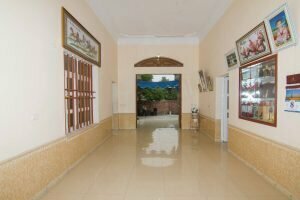 Each local house in Yen Duc village will provide you a nice experience to observe local life and family tradition, with a nice talking to warm hosts. 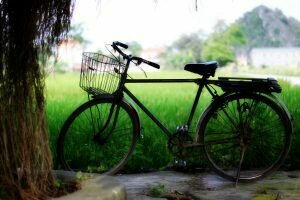 Throughout the history of Vietnam, the war went through and left many historical sites. From the forests, rivers, cities… to the villages, the historical evidence of a heroic nation have been stored. 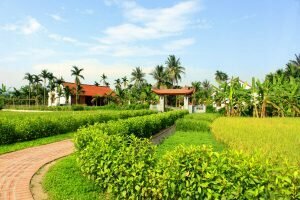 Yen Duc village like many other villages in Vietnam, has contributed to the history of country. In the village, Canh Mountain and “73” cave stand as the spirit of heroic battle against the invaders. “73” cave dates back to the heroic struggle of 73 guerrillas, who sacrificed all for the freedom of people. 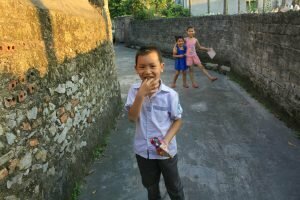 Vietnamese people love peace but are so strong in protecting country, fighting against any invader. 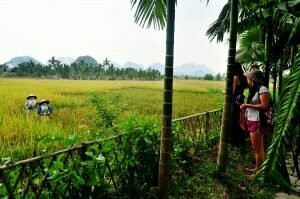 In the trip to Yen Duc village, visitors will pass through Canh Mountain, see the historical “73” cave and listen to the villagers’ stories about village and people. Located in the Canh Mountain, “73” cave is the symbol of the local people’s courage and heroic sacrifices over the years. In order to honor the merits of the guerillas fighters and villagers, either a memorial monument or a grave were built here in 1980 to dedicate the heroic local people who died in the war. 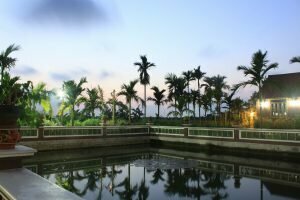 Yen Duc village also have some other historical relics related to Tran dynasty and the historical Canh Huong pagoda in the center of village. 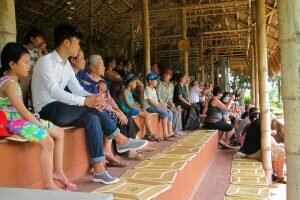 In rural Vietnam, pagoda is a source of culture, sacred places of worship, as well as location of the cultural activities. 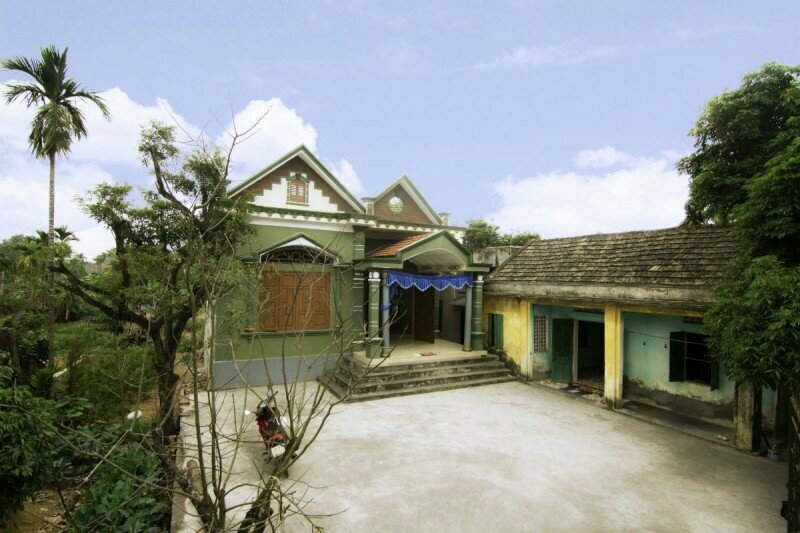 Visiting the pagoda brings you the tranquility of mind and a better understanding of Vietnamese traditional culture. 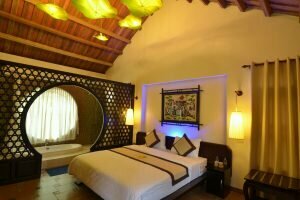 “Canh Huong” means beauty spot pagoda. 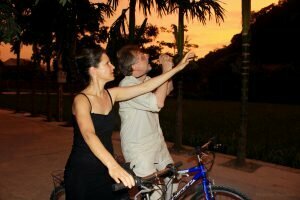 The pagoda offers the visitor a chance to escape the busy streets and sample the atmosphere of rural Vietnam. This is an ancient pagoda which was built under Tran dynasty (XIII-XIV century). 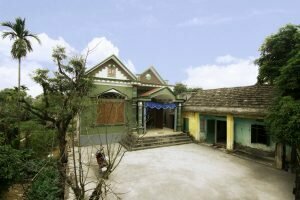 The pagoda bears legendary stories of Vietnamese King Tran Nhan Tong leaving the court to follow a religious life. During his Buddhist life, he built a lot of pagodas near around this area. The pagoda has been destroyed and restored many times most substantially in 1664 a then again in the mid-19th century. However, these restorations retained the style of the original structure. 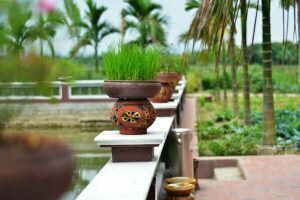 Located in the center of the village, Canh Huong pagoda is a sacred place that every local villager comes to pray for the good health, good weather and safety and bumper crops. 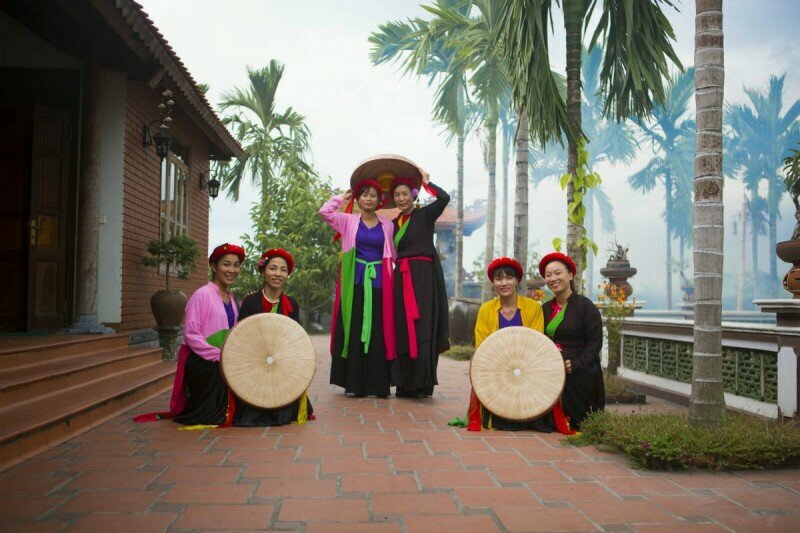 In Yen Duc village, Quan Ho folksong is a popular performance of villagers in the festivals, holiday or celebration day of village. The elders also organize the performance monthly as a cultural activity of the village. In the performance, people also present other folksongs as Cheo, dan ca… The cultural life of Yen Duc village is rich by contribution of all young and elderly villagers to preserve traditional culture and give lessons to children about love with the country, ancestor and family respecting.